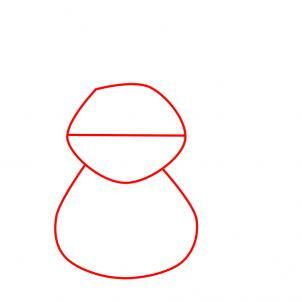 Draw out the shapes of Santa's head and body like so. 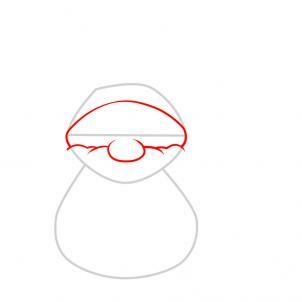 When this is done, draw in one face guide. 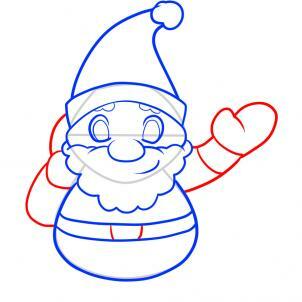 Here you will draw he face frame of Santa and be sure to add in the small round nose. 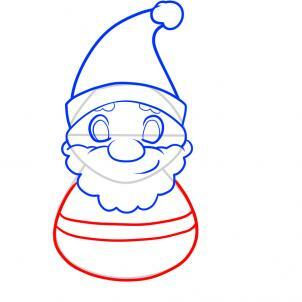 Draw in the beard line which should be curled in. 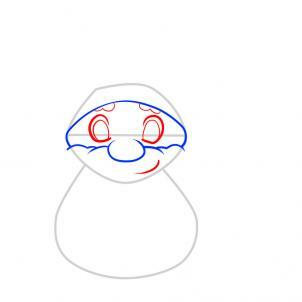 Using the face guide, make the shapes for the eyes, and then draw in the eyeballs. When that is done draw the bushy eyebrows that are peaking through the top of the hat, and then add the smirk or grin that is off to the right. Draw the fold of Santa's hat lid, and then draw out his curly long bushy beard. 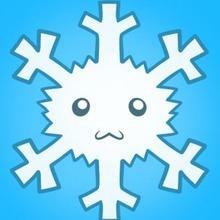 All you have to do here is draw out the cone shapes hat and then draw in a cotton ball like tip. 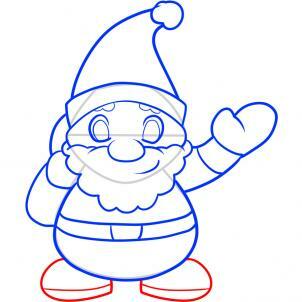 Thicken the lining that you drew in step one for the body and then add a belt shape around his round waist. 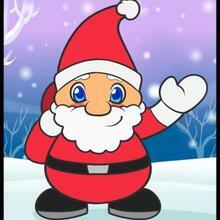 Okay, to keep Santa friendly looking legs draw his right arm waving to all the boys and girls of the world. 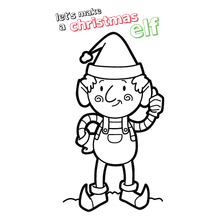 Draw in the hand in the form of a mitten, and then draw the left elbow and bag full of toys that s thrown over the shoulder. Lastly, draw in the belt buckle. And finally the step that will end it all. Here all you have to do is draw out his boots, and make the soles. 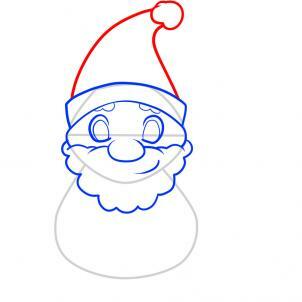 Erase the shapes and guides that you drew in step one to clean up the drawing. This is all done. 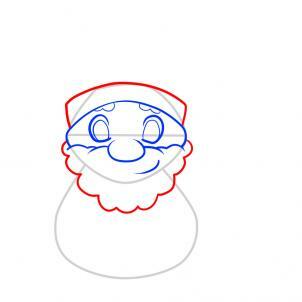 Even though it's not Christmas time, at least you know where to find a tutorial on how to draw Santa for kids.